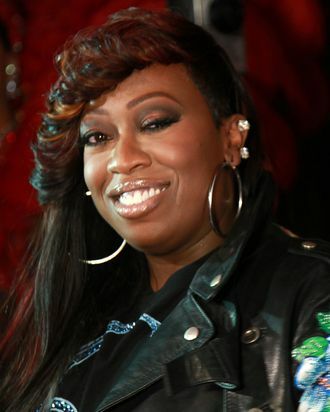 Former collaborators Missy Elliott and Timbaland have done plenty of guest spots on other people’s jams as of late — they even joined forces for a Demi Lovato song a few months back — but it’s been quite a while since they’ve put out solo stuff. Elliott hasn’t released an album since 2005’s The Cookbook, while Timbaland has taken it easy since 2009’s Shock Value II, but now Tim says you can expect new albums from them both to drop simultaneously in June. And when we say “simultaneously,” we mean it! “Right now, we’re preparing to get both our videos, our first singles, shot kinda at the same time,” Tim tells MTV. “We want to do it as a movement … I just don’t want to move too ahead of her and she don’t want to move too ahead of me. So we’re both doing it at the same time.” Let’s hope they take this thing to the ultimate extreme: twin bikes!